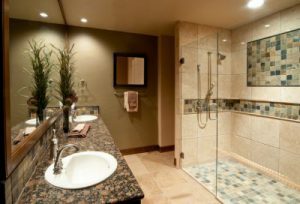 Are you considering remodeling a bathroom at your Plano, Texas, home but don’t know what company to trust with the job? If so, why not choose the area’s go-to home improvement experts – Star Home Remodeling? We’ve been in the industry since 2007 and have earned a number of accolades throughout our years in business, including multiple Best of Houzz awards. What’s more, you can rest assured that only highly experienced and skilled technicians who are dedicated to total customer satisfaction will handle the renovation for you. Contact Star Home Remodeling today to learn more about the premium kitchen remodel services we offer to homeowners throughout the Plano, TX, area. We’ll be happy to schedule you for a design consultation at your home or our showroom.